Joni missed Woodstock because David Geffen wanted her to appear on this show. She was joined by David Crosby, Stephen Stills, and Jefferson Airplane, fresh from the Festival. A really up-beat song! Very positive word play on lyrics as well. One particular favorite verse: And the sun poured in like butterscotch, and stuck to all my senses... Joni had this way of making you "feel" her music. Fantastic! Great story mama, I too was brought to the genius of singer songwriters, with everything she does. Melody is beautiful . She never disappoints . Celebration of Life! Pure Joy! Beautiful! 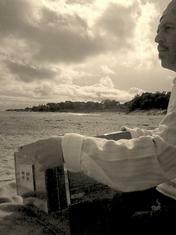 That was the music I fell in love with! When I watch this video I feel 19 years old again. My take on Chelsea morning was one of seeing myself as the owner of this wonderful room with yellow cutains, crystals hanging in the window and bowls of fresh cut oranges. 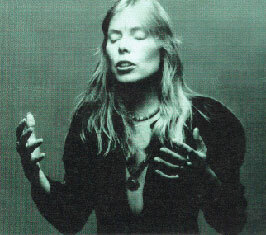 I never knew what that was growing up a poor mexican american girl, but as I grew I knew my children would experience this magical things, they are both musicians and were weaned on Joni.Today I have bright yellow curtains, crystals in my windows and incense burning. Thank you Joni.